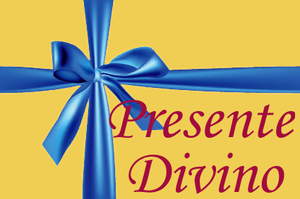 (Holy Spirit): “My beloved children, I, your God, come once again from the heights, to call ye all to Me, to learn with Me the wisdom that pleases the Father, that pleases Jesus, that pleases Me, in order that you be immaculate and irreproachable in My presence. I Am truth, I Am wisdom, I Am the river of love, I Am the river of grace and of purity. Whoever comes to Me and bathes in this river that is I Myself, will be pure, will be full of My Love, will be full of My grace. And in Me will find all the joys of the soul and all the desires of their heart will be satisfied. Happy the soul who finds Me and who puts her heart in Me, making of Me her hope, her treasure her everything. Because this soul will receive the influx of My Love with all Its potency and I will unite Myself to this soul and with her and in her, I will live forever. Happy the soul who does not have a divined heart before Me. Happy the soul who does not have a double heart, in other words, who at the same time as she loves me, she also loves My enemy, sin and Satan. Happy the soul who does not play with Me, but who truly walks with sincerity in My presence fulfilling My precepts and seeking only that which honors Me, that which pleases Me, that which glorifies Me, what satisfies Me. I Am the Spouse of your souls; I want to unite Myself with them, but just as a spouse would never unite to a spouse who is ugly and contaminated by a fatal disease, thus also, I cannot unite Myself with soul that is infected by sin, marred by sin and covered by woulds of sin. It is necessary that your souls be purified, it is necessary that you souls heal in order to get married with Me. Therefore, I offer ye the cure, I offer ye the grace of regeneration. Ask Me for the grace of the cure and purification of your souls and I will clean them of all sin, of all infection from Satan, in such a way that your souls will become: beautiful, attractive and very holy in My sight. 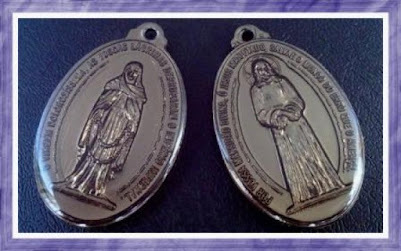 Then, I will unite with them with a holy pleasure and in them, I will pour the wine of My Love in such a way, that your souls will be as if intoxicated by holy love for Me and will not desire another love other than Mine and I will then be your own inheritance, your treasure and your eternal life. In these time in which the sect, through the media, caused the river of of the mud of sin to take care of everything, of families, of the youth, of childhood, of the religious communities and of all the Church. 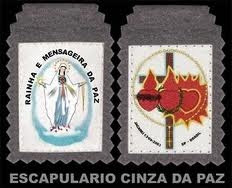 I call ye to truly return to Me, by the path of conversion, of penance and of purification. The river of mud now covers everything and the sect, with its infernal astuteness, managed to cause the minds and hearts of men to despise the truth and accept the worst moral disorders as though they were good things. I invite ye, therefore, to return to the purity of truth, to the purity of holiness, to the purity of love, for which I created ye. I invite ye to return to the innocence that I gave your souls when I created them and when I breathed the breath of life in them. I invite ye to return to Me, to the path of principles, which are life and salvation for ye and to despise the lies and the deceptive traps, wiles and astuteness of the sect, that, through so many things, caused ye to depart from the truth, she who caused that, in your soul, the right, the correct, the good, were eclipsed and clouded by Satan's smoke. And now, you live confused and you no longer know hat is good and what is bad, what is right and what is wrong, what is of God and what is of the Devil, what leads to Heaven and what leads to hell. I come to undo this deceptive seduction, I come to pluck ye from this death and make ye enter by the road of life, of eternal life, which is the road of My Commandments. 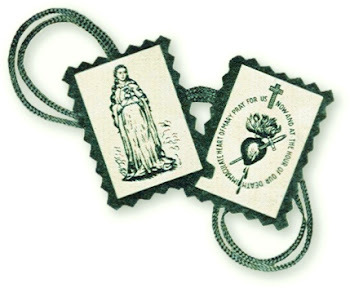 I love ye so much and do not want ye to suffer in the future, therefore I sent ye My Most Chaste and Immaculate Spouse Mary Here, more than twenty years ago, so that She teaches ye what pleases Me, so that She teaches ye what is the truth, so that She teaches ye that which truly honors Me and that leads ye to salvation. And so that ye, by Her teaching,, despise all sin and everything that leads ye to put yeselves in Satan's hands. Reflect, think, if I did not love ye, would I have sent My Most Chaste Spouse Here, to fight for your salvation, even knowing that, by many of ye, She would be hated and rejected? By others, She would be bruised, because She would find your hearts resistant to the truths that She came to preach to ye? 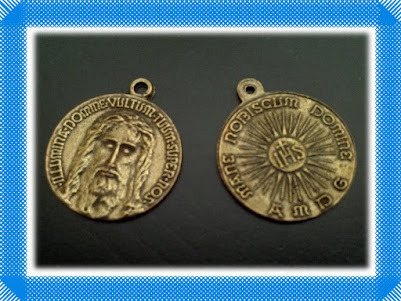 If I did not love ye, would I send the One I love most, in your midst, even knowing that ye, like ungrateful dogs, would many times bite Her Hand, that tries to save ye and pluck the scales of sins, of spiritual blindness that cover your eyes? If I did not love ye, I would not have done this, therefore My children, believe in My Love, accept My Love and give finally today your ‘yes’ to My Love. Do not bite the Hands of My Most Chaste Spouse anymore, who is only trying to do ye good and save ye, yanking ye from spiritual blindness of sin in which ye live. Do not mistreat My Divine Spouse, May, anymore, because I say unto ye: If you continue to do this, I will be annoyed with ye, I will be angry with ye and will end up sending ye a sudden punishment, abandoning ye at the mercy of your own sins and of the demons. Come to My Heart, this Heart that loves ye so much, to the point of having sent My Most Chaste Spouse Here and so many of My Saints. This Heart that loves ye and who came Here in person to say unto ye: I Am your origin, it was I who blew the breath of life into ye and who made ye exist. I had no need of you. Therefore, We, the Three Persons of the Trinity, decided to create you in an act of pure love so that ye might be partakers of eternal happiness by Our side. And what have you done? Despised this immense love and traded this immense love for trifles, nefarious sins and truly for things that only increasingly bring the mouth of hell closer to your souls day after day. I come, I come to ye, to deliver ye from the flames of hell, that ye unfortunately each day, draw closer to ye by the sins that you continually commit, offending Me. I come to give ye the possibility of a life without suffering in eternity, happy by My side forever in Heaven. I promise ye a crown of imperishable glory, I promise ye a real mantle of light that only the princes of Heaven can have if ye follow by the path of My Commandments and of My Love. I promise ye a scepter of immortal glory that is only given to those who I truly love and those who are My real descent. I promise ye a throne, a throne of power by My side in Heaven; power that is only given to the righteous, to the innocent, to the pure, to those who truly love what is straight and pleasant in My Eyes. Come, My children, come to inherit all of this, and do not despise so much wealth, so much good that I offer ye by the poisoned food that My enemy presents ye. 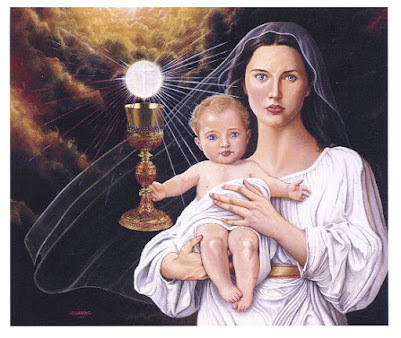 Yes, come to Me through Mary, because since shortly after the fall of your first parents, I Myself, in My wisdom, in My supreme intelligence, decided, with the Father and with Jesus, to create Mary, She who would crush the infernal serpent. And I Myself showed Her to your first parents and to the serpent, as being the only portal of salvation for all of humanity, the only right and sure way that would lead the world to Us once again. And She who would be the only one who, with the holiness of Her Life could bring the redeemer and salvation to ye. 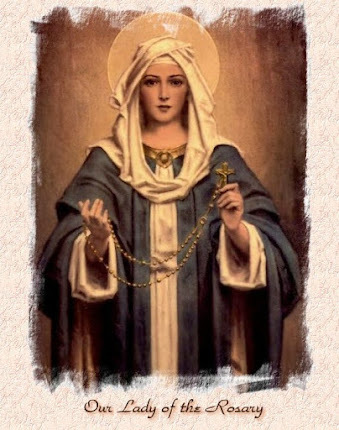 Ye cannot imagine the terror, the fear, the dread and at the same time the furor of the serpent when she saw Mary, because there, she already knew her defeat. There, the serpent already knew her end and she knows that in Mary, all her works, all her tricks, all the citadels of perdition that she builds crumble into dust. 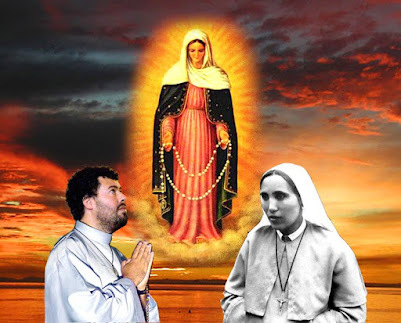 The serpent knows that when Mary loves a soul, when Mary chooses a soul, when She fights for a soul, when she is for a soul, when Mary enter into a soul and lives in a soul, the serpent knows that her reign in this soul is over. 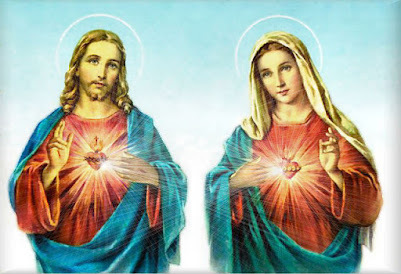 Therefore, she strives to destroy Mary in hearts, she strives to diminish Mary, by making souls forget about Mary, that they look at Mary with contempt, cultivating in their hearts a hellish pride. Therefore, the serpent seeks to inoculate against Mary and against all the demonstrations of love to Mary, such as the processions, the Rosaries, the novenas, the honors due to Her Images, the serpent seeks to make all of this disappear from the face of the earth because he knows that in doing so his reign in souls remains. 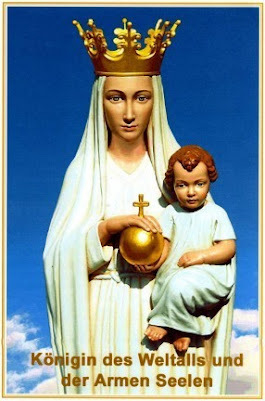 Therefore, destroy the serpent's reign making Mary known, loved, honored with internal acts. 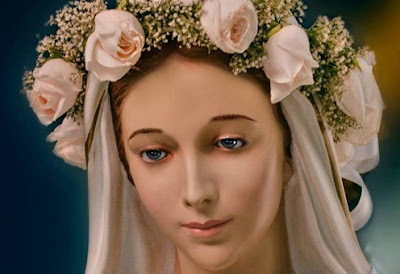 And, above all, external, because men are made of flesh and need to see external acts of love to Mary so that the interior is burned with love for Her. 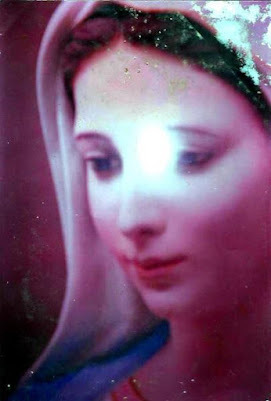 Therefore, I live this place so much, therefore I love My dear Marcos so much, who, along all his life, always made Mary known, loved, exalted and glorified, cultivating a true devotion to Her. Inner yes, but also exterior, because a devotion closed in a tomb, in a closed heart it cannot expand, nor be transmitted to anyone. And that is why he always exalted Mary with enthusiasm and with the same fire that I gave him. 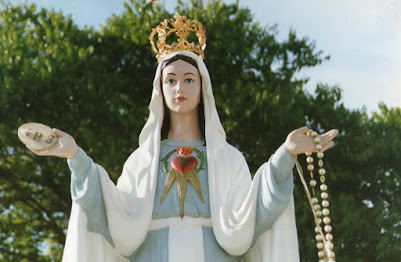 Therefore, he made Mary known and loved by the videos of Her Apparitions and of the life of Her Saints who loved Her so much and by making Mary known by this, by the Meditated Rosaries, by the Hours of Prayer, by the Cenacles, by the processions, he made sure I triumphed in many hearts. Because where Mary triumphs, I also triumph, where Mary is rejected, I Am rejected, where Mary is despised and rejected I am also despised and rejected. Therefore, Here on this place, My Heart, My Gaze is attracted to My beloved Marcos and in him pours all My complacencies and rests in him and My Divine rests with Me. Come, My children, come Here to learn this secret of salvation and of holiness. Love Mary, honor Mary, live in Mary and let Mary live in ye and ye then, ye shall have Me within ye, living in ye and ye will live in Me. 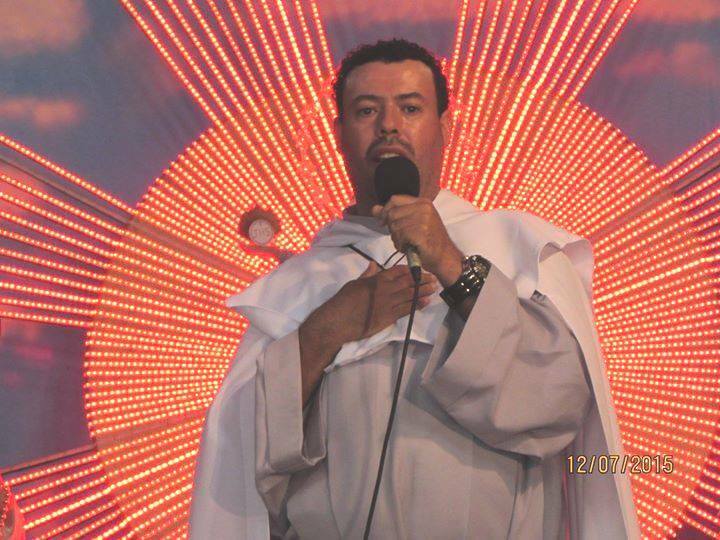 Here, I wish to form the great Saints that I Myself showed to My servant, Louis Marie Grignion de Montfort, also to other Saints who would arise in the end times. Therefore, once and for all, give your yes, renounce yeselves and all sin, so that I can then, with speed, with strength, lead ye by the path of salvation, of the salvation that makes ye immaculate before My Eyes and truly gives ye the resemblance of Myself, so that the world, seeing Me in ye, in other words, feeling My presence in your soul and in your life. seeing the beautiful and sweet fruits of holiness that U want to produce in ye, believes in Me and believing in Me has its salvation.